The table below shows Australia’s scores across the various indicators, from lowest to highest. 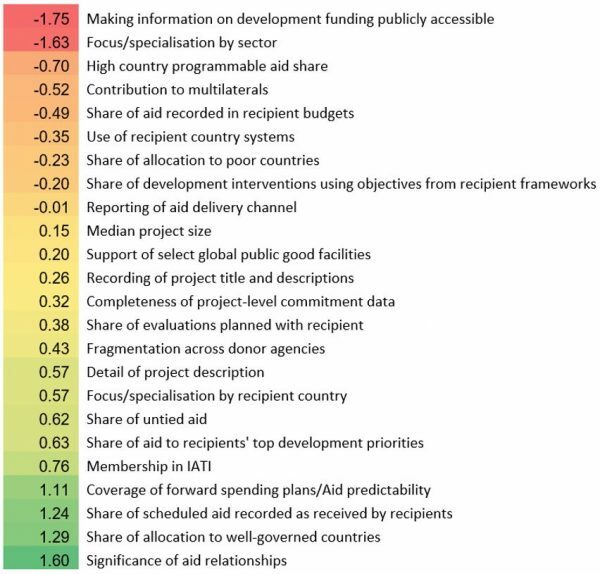 We score quite negatively (-1.75) on making information on development funding publicly accessible. Why is this? We haven’t been able to obtain the underlying data that CGD used for the calculations for the scores (they come from a separate report), but the methodology explains at least some of the score. 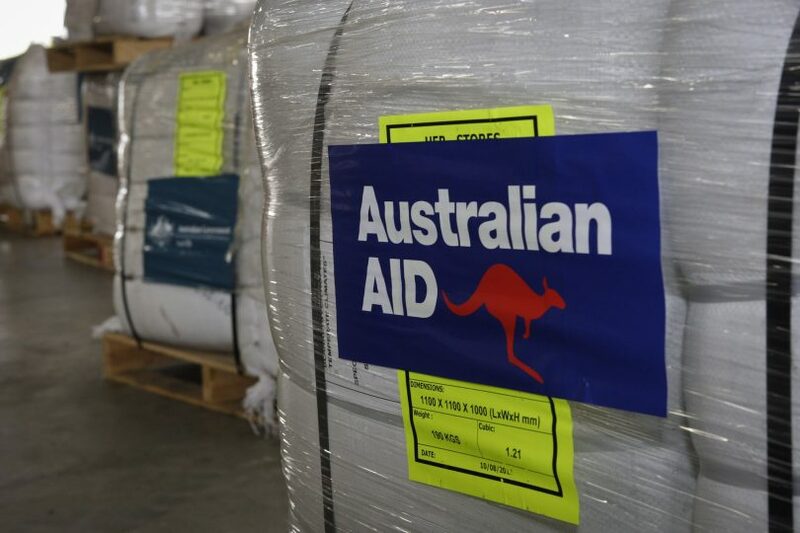 The indicator is based on reporting to the OECD Creditor Reporting System (CRS), OECD Forward Spending Survey, and International Aid Transparency Initiative (IATI). 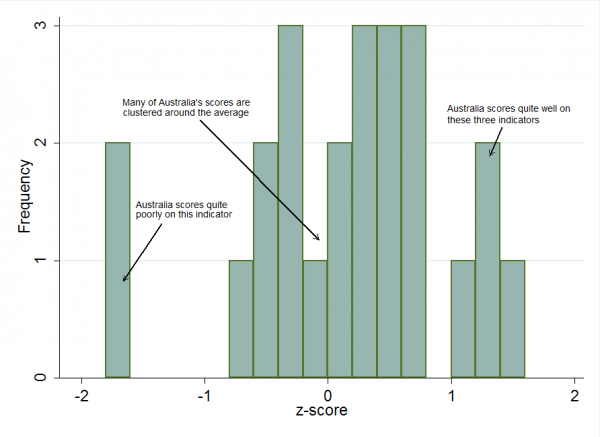 Although Australia’s score is helped by it producing IATI data (it’s efforts were assessed as ‘fair’ in this regard), Australia doesn’t report to the OECD’s Forward Spending Survey at all, which means that it automatically loses one third of its score for this indicator. Its reporting to CRS was assessed as needing improvement, likely because of a mixture of lack of timeliness in providing data and lack of accuracy in reported data. Australia’s commitment to development: glass half-full or half-empty?